The number of auto recalls has steadily increased across the globe. Automobile manufacturers are required to report problems with their vehicles to the NHTSA. When a vehicle with a serious defect is involved in an accident, the driver and his or her passengers are at risk for serious injuries along with the occupants of any other vehicles involved. Drivers who are injured because of defective automobiles have the right to seek compensation. In some cases, the automotive manufacturer may not be the only company at fault when a recall is issued because of a dangerous component in the vehicle. This is the case with the massive Takata airbag recall that has been in effect for the last decade. Affecting over 50,000 million vehicles spread over 19 different automakers, these dangerous airbags have caused 15 deaths in the United States from their faulty inflators. It is expected that 20,000 more vehicles will eventually be recalled through December 2019. Because of shortages in replacement airbags, over half the currently recalled vehicles are still awaiting repair. 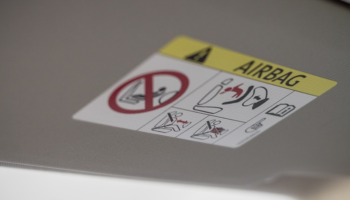 This leaves drivers and passengers at risk for injury or death if the defective inflators were to explode and become a dangerous projectile in a crash. Drivers may still be unaware if they own a vehicle with a defective Takata airbag installed. It is possible to check the vehicle’s VIN number on the National Highway Traffic Safety Administration website to see if the vehicle is affected. This online tool checks for all available recalls currently in effect. iSeeCars.com has studied the correlation between the increased number of auto recalls through information from the NHTSA and reliability ratings from Consumer Reports. One of the conclusions that came out of this study is that high recall rates act as an indicator of low car quality. In recent months, the Mercedes-Benz C-Class has experienced seven times the rate of recalls when compared to the average vehicle. It has been recalled because of airbags and steering column issues. Not far behind is Fiat Chrysler with the recall of four models affecting 5.3 million vehicles that have the potential for a malfunctioning cruise control. It is important for drivers to pay attention to any recall notices they might receive in the mail. While waiting for a repair might be a hassle, a recall repair is free and could prevent a serious accident.